I thought this was kind of interesting. 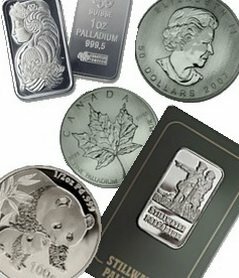 No, I don't think this will increase demand for palladium coins or palladium bullion, but it's interesting nonetheless. The FDA, on June 3, 2009 has approved Palladia, an anti-cancer drug--for dogs! The palladium-based product is expected to treat tumors or skin cancer in dogs. Tests are reported to be 60% successful in removing tumors. The product is apparently formed form a combination of palladium, various B vitamins, lipoic acid, and other substances. Here's a Youtube video showing how this palladium-formed product can help save your pet.